Food rations, economic restrictions limited the scope of chefs’ innovations. 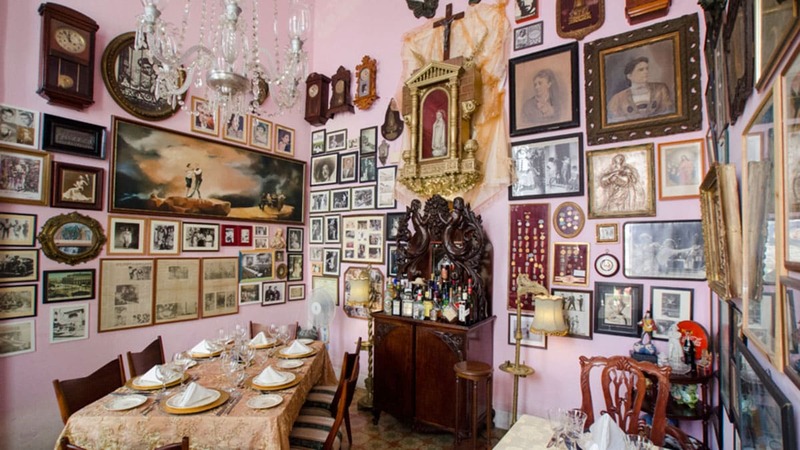 Because of this, we often found that the ambiance of Havana’s restaurants to be much more impressive than the skills of the chef in the kitchen. The country is becoming more and more economically liberated, something that has trickled down to the plate. Though “fine dining” will be hard to find – please don’t come to Cuba and expect to find steak tartare smothered in quail eggs – there are a couple of trendy restaurants that have recently opened, elevating the food scene in the country. 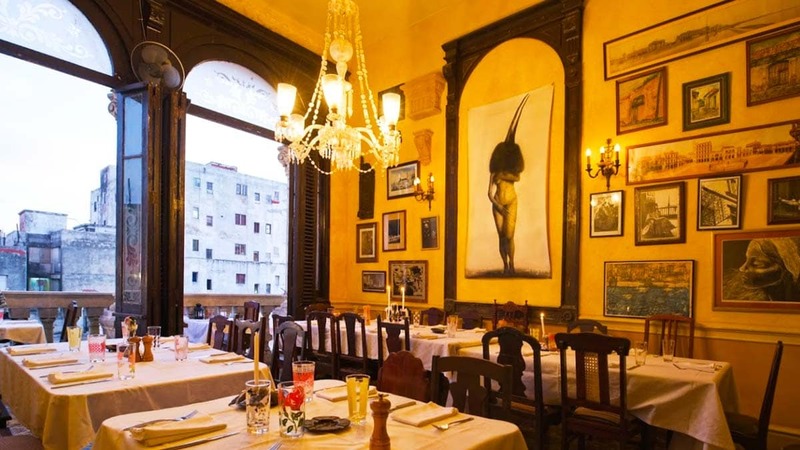 Here you will find the best restaurants in Havana. They surpass any other Havana restaurant in every aspect but remember that Cuban chefs still don’t have access to some of the ingredients & tools that even you can easily find in your neighborhood’s supermarket. If you want to have a good meal before leaving Cuba, do it here. Don’t go anywhere else! This restaurant gets really creative with its dishes, mixing American and Caribbean flavors. Atelier constantly changes up its menu, as well as its decoration. It’s possible for you to visit the restaurant and see a new painting on display that wasn’t there before. Depending on how many people are in a group, Atelier will change the entire interior decor to accommodate. For starters, try the fried taro root. Get the duck or the rabbit as a main. Price for two people will be about 30 Euros. You have to make a reservation before going. Address: Calle 5 #511, Paseo ve Calle 2 arasında, Vedado Telephone: 005378362025. Click here for the location. If Atelier is full, then this is a good second choice. Though dining here is expensive compared to the rest of Cuba, the dishes are worth every penny. The dilapidated building creates a nostalgic, moody atmosphere. Because it’s gotten quite popular recently, you’ll have to make a reservation – even with one, you might still have to wait a while. You can book your reservation on their website. The restaurant is closed on Sundays and is open 12:00 pm – 4:00 pm and 7:00 pm – 11:45 pm. Address: Concordia No.418 /Gervasio y Escobar, Centro Habana. Telephone: +53 78 66 90 47 Website: www.laguarida.com/en/ Click here for the location. The food is quite tasty, though expensive for Cuban standards; be prepared to spend around 30 Euros for two people. 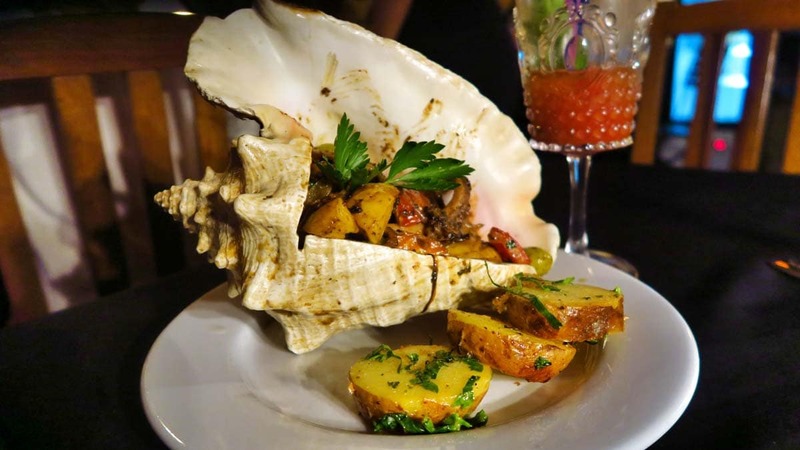 There is a menu that features a fusion of Cuba cuisine with food from around the world. A special treat on the menu is pork with mustard sauce. Address: Between Calle San Rafael #469, Campanario and Lealtad, Centro Habana Telephone: 005378601705 Click here for the location. 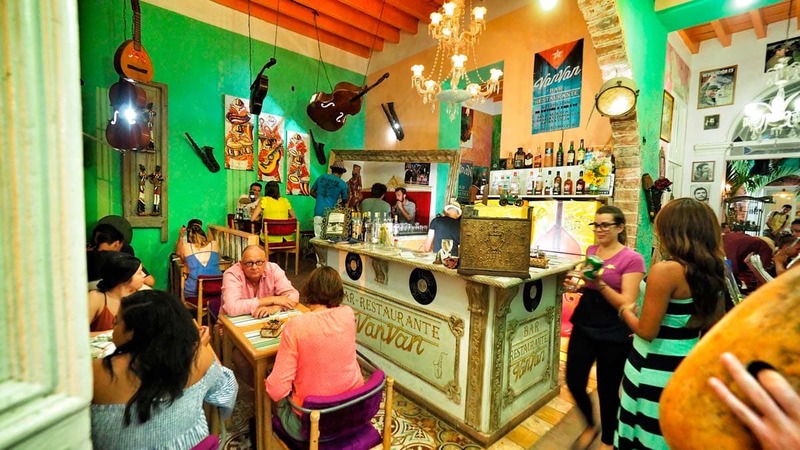 This is without a doubt the best place to eat traditional Cuban food, and puts it high up on our list of things to do in Havana. The places listed above are mainly for dinner, but this is an ideal lunch spot. Their signature dish is Ropa Vieja (beef tandoori in tomato sauce), which is Cuba’s most popular dish. What really knocked our socks off, however, was the garlic shrimp starter. Even though we were able to sweet talk our way in, they usually only take reservations. 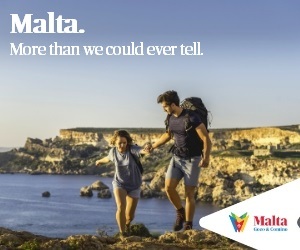 You can expect to pay about 15 Euros for two people. The restaurant is very close to the Cathedral Square. Open between 12:00 pm – 10:00 pm. 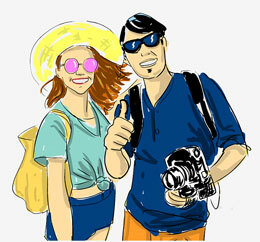 Address: Callejón del Chorro #60c, Plaza de la Catedral, Old Havana Telephone: +53 7 8611332. Click here for the location. With live music after 5:00 pm, this food stop has a killer decor, food and cocktails. On Thursdays, VanVan is open 12:00 pm-midnight and 12:00 pm – 11:45 pm every other day. Be sure to check out the bathroom! Address: San Juan De Dios 58, E/ Habana y Compostela, Old Havana Telephone: 537-860-2490. Please click here for the location. We recommend the crawfish and shrimp. You can find traditional Cuban food and great mojitos here, and the prices are also reasonable. La Floridita is close to Hanoi in case you’re looking for places to go after. Address: Teniente Rey #507, Esquina Bernaza, Old Havana Telephone: +53 7 8671029. Click here for the location. A cheeky response to all the other venues that use Hemingway to attract tourists, El Chanchullero has a sign on their front door reading, “Hemingway never came here.” With such an introduction, you won’t be surprised to see funky graffiti lining the wall as you enter the establishment. El Chanchullero is closed on Sundays, but open other days 1:00 pm-midnight. Address: Bernaza y El Cristo, 457 A bajos Teniente Rey, La Habana Telephone: +53 5 2760938. Website: www.el-chanchullero.com. Click here for the location.